For the past few years, many doctors and healthcare practices have found themselves torn as to whether or not they should embrace telehealth. While the benefits of it are undeniable, there have been questions over its security and practicality since it started being implemented over 20 years ago. However, technology and acceptance have finally made telehealth a realistic option for everyone in the healthcare industry. Telehealth is well past the days of when it constituted nothing more than a doctor and a patient talking over the phone. With the rise of mobile health, along with technological strides made in the past decade, telehealth has become a viable way for doctors to serve patients from all walks of life. Not only is it a viable way to practice healthcare, in many places it is treated as an equal alternative to in-person doctor’s visits. There are 24 states, plus Washington D.C., that require private insurers to cover telehealth in the same way in-person treatment is covered. And that’s just the beginning. Here are a few other reasons it’s time to embrace telehealth. The original goal of telehealth was to find a way to help connect rural patients to doctors when an in-person visit wasn’t feasible. While this is still an important function of telehealth, more and more city folk have determined it’s far easier to place a call to a doctor for a quick consultation than take time off work to visit one. With a growing number of patients preferring a video-call doctor’s visit to the real thing, this has gone from being a fad to becoming the new norm. It’s not just the video calling that has proven to be a valuable tool in the telehealth arsenal, either. With countless health monitoring apps now available, it is easier than ever for doctors to get the information they need from clients in order to make informed decisions remotely. One of the biggest drawbacks of embracing telehealth was the fact that state and federal regulations seemed to change on a near daily basis, meaning you never knew whether you were compliant with them. Not only that, but you also had to worry about getting equipment and systems that were HIPAA-compliant. However, regulations on both the state and federal level have become much more stable as telehealth has become more commonplace. Telehealth technology has greatly improved as well, since manufacturers continue to better understand the security requirements involved. Nearly all equipment on the market today is compliant with HIPAA. We’ve already mentioned that almost half of the the country requires private insurance to provide full telehealth coverage. 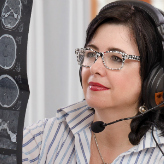 Medicare and Medicaid also provide partial telehealth coverage for patients. As the accessibility and acceptance of telehealth continues its upward trajectory, it would seem likely that more insurance companies will be required to cover it. Even if you haven’t noticed a surge in demand for telehealth at your practice, implementing it now can make sure you’re prepared when the rush does come. If you would like to know more about what you can do to implement telehealth, mHealth or any other healthcare technology, get in touch with us.